Stress can involve a recent change or a daily pressure. Stress happens to everyone and can be motivating and productive or negative and destructive. 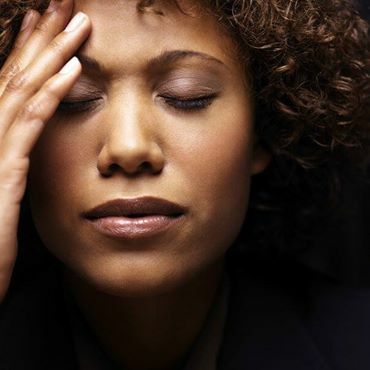 Tension and anxiety, as well as depression, are frequent emotional consequences of stress. The mind and body are linked throughout our lives. We must learn to respect both our emotional and physical needs, or we will lose our equilibrium and ability to adapt. Women are socialized to be the caretakers of others. More women than men have both a career outside the home and continue to try to juggle traditional responsibilities after hours. Over 70% of married women with children under the age of 18 are employed outside the home. Sociologists describe women as struggling to achieve the “male standard” at work, while trying to maintain the perfect wife and mother standards at home. Women are also less likely to be in as powerful positions as men to change their environment. Women find it harder to say no to others’ requests and often feel guilty if they can’t please everyone. They often spend less time nurturing their own emotional and physical needs, as that might be perceived as selfish. In addition, relationship alterations or the loss of loved ones can produce empty nest or other separation syndromes. As women progress through life’s stages, hormonal balance associated with premenstrual, post-partum and menopausal changes can affect chemical vulnerability to stress and depression. Leisure time must be considered a necessity, not just a reward for doing more. Personal time for rejuvenation will never be available unless it is planned. Prioritizing based on principle rather than demand is sometimes difficult to learn, but is critical for peace of mind. What activities can help relieve stress? Finding it hard to untangle?